Hi Guys, Welcome to the Powershell Tips and Trick section. 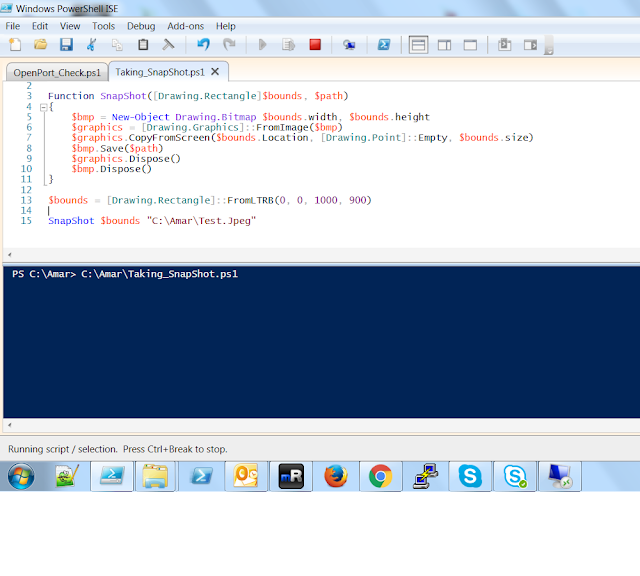 Today one of the follower of my page The Powershell Geek asked me how to take Snapshot of the Screen using PowerShell. Before beginning let me tell you , few months back one of my friend got the same requirement from our client i.e. Login to a website, then performing certain tasks and once done take snapshots as a proof that its done successfully. So here’s the Code, its already available in Technet anyways. So now you can keep the code in between your script or where ever required to take the Snapshot. Hope you all enjoyed it, do Like and Share.